Here are the frequently asked questions that we receive regarding our web and audio conferencing. Do you have a question that's not answered on this page? Contact us and we'll be happy to provide an answer. A webinar is an on-line meeting that combines a visual component through a web conferencing tool with audio delivered with best results through the telephone. At a pre-determined time, attendees would simultaneously dial into a provided toll free number and log into a web conferencing platform. The visuals are usually a converted PowerPoint presentation but can consist of videos, web site demonstrations, pictures and application sharing as well. Speakers conduct their presentation while speaking into the phone, progressing through their slides. While logged and dialed in, the attendees see what the speaker sees, and hear what the speaker says. There are many tools available for the speaker to use which enhance the experience of the attendee, such as pointers, highlighters and chat features among others. Using this method provides a smooth process for conducting interactive Q & A and running polls. What is a Webcast and what makes it different than a Web Conference? Tend to be larger than both Web conferences and Webinars, and even less interactive than a Webinar. Generally have audio streaming (audio delivered via the internet), and sometimes video streaming. What's the difference between Audio Conferencing and a professionally produced audio conference? An Audio Conference (also known as "reservationless" conferencing) call is a great tool for smaller, on the fly collaborations where you want several people to be able to speak to one another. In a professionally produced audio conference, you want to create an environment where the conference is facilitated by a professional moderator to enable you to optimally deliver your message to your audience. It is imperative that attendees are in "listen only" mode unless pulled out by the moderator for Q & A, this eliminates any unwanted background noise to avoid distractions. The technology needed to produce these events is much more sophisticated and entirely different from what's used to run basic audio conferences. Think of event calls like a newsroom production and basic audio calls like a small meeting room for a few people to have a conversation. What can attendees expect when they attend a Genesis Audio Conference? A few minutes before the conference begins, your registrants will call a toll-free number and either enter their PIN or be greeted by a live operator (depending on how you set it up). This will put them into a "waiting room" where they will hear music or your pre-recorded commercials (your choice) until the event begins at the specified time. Once the Genesis moderator begins the call, all attendees are brought into the call in listen-only mode. The moderator will then make an opening comment, introduce the speaker(s) and let the audience know how to ask questions and end the event with closing remarks. The logistics of what the moderator should say and when is determined in advance during the set up process and pre-event calls. We recommend that you begin and end on time as advertised to satisfy your attendees' expectation. What can my speakers expect the day of a conference? We ask that speakers dial into the event approximately 15 to 20 minutes before it begins. Speakers are given different PINs, which provide higher-level access into the call. Host members from your organization can also have this access so when you and the speakers dial in you are in a pre-event chat session and can iron out any last minute details. This also gives the Genesis moderator the opportunity to run a sound check. A couple minutes before the call starts, the speakers are placed into the conference with the audience, and the moderator starts the call where he or she makes an opening comment, introduces the speaker(s) and lets the audience know how to ask questions and end the event with closing remarks. I am new to webinars. Can Genesis help me get started? For some years, Genesis has run thousands of calls and has tremendous experience producing events. Our experienced team is happy to discuss your goals for your calls and share ideas that can help you achieve them. Will I be assigned a dedicated Genesis representative? Yes. You will be assigned a dedicated Genesis Account Manager for all of your events to serve as your single point of contact. Your Account Manager will assist you in all aspects of your event from your initial contact in call design through all the details until your event is completed. How soon can I start a conference call? Immediately after signing up you'll receive an email containing your dial in number and PINs. That's all you need to start a conference call. Are there any setup fees or contracts required? No. There are no contracts or fees required to open an account. And you can close your account at any time. You can cancel your account at any time. Simply call us or send us an email requesting that your account be closed. How will I be able to know who attended the call? We will send you a Participation Report after each call information our operators gathered from each caller after the conference. The 30-day free trial allows you to utilize our unlimited video and web conferencing services at no charge to determine if they will meet your needs. Genesis offers International Toll Free Service for many countries. International callers can also connect via the the US toll number. Genesis also offers operator assisted dial out to all international locations. Can a Genesis audio, web and video account be shared between multiple users? Yes. While a Genesis account can only be used for one meeting at a time an account can be shared among multiple users. We also can provide multiple audio, web and video accounts for your different departments or individuals as needed. No, all reservation-less audio, web and video accounts are available 24/7. Just distribute the dial in numbers, PIN's, date and time of the call to your participants. Yes. 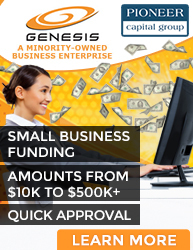 Please call Customer Services at 888-436-3746 or email us at info@genesisnetworks.com and we would be happy to help you. Your dial-in number is a universal number which all our customers access, however your entry codes are unique to you. Please use caution when distributing your codes to others and only give the host code to necessary individuals. Also, you can request new entry codes to ensure security. Additionally, you have the ability to lock the conference at any time. Once you have locked the conference, nobody else can enter/listen, including our operators. Another option for a highly secure conference, is adding PIN codes to your conference room. This requires all callers to be setup in advance with a unique code. No. Since there is no software to install or pre-load, participants can instantly join web conferencing meetings without having to prepare their computer in advance. Why are you charging a Universal Service Fee (USF)? On June 30, 2008, the Federal Communications Commission (FCC) issued a ruling stating that audio conferencing is subject to the same rules and regulations as other telecommunications services as it applies to the assessment of fees for the Universal Service Fund (USF). Genesis passes through to all customers the FCC's Universal Service Fund (USF) surcharge. As of October 21st, 2010 the USF surcharge is 15.3%. This fee is subject to change on a quarterly basis and is applied ONLY to conference call bridging service and US toll free transport. I'm a tax exempt organization; do I have to pay the USF? Yes. The FCC's USF is not a tax but a surcharge that is required of all conference service users.